From Antigone in Thessaloniki, Greece, titled Klimatiké Dikaosyni. 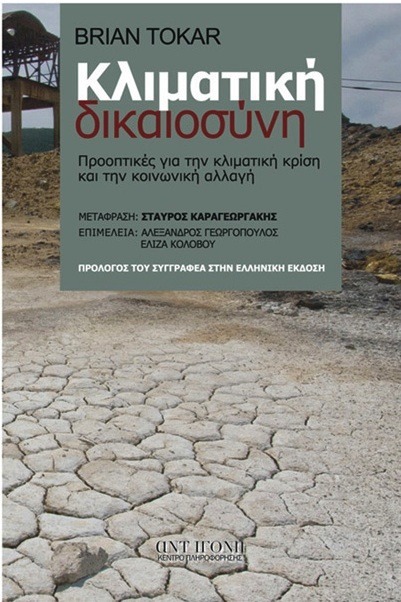 Translated by ISE alum, Stavros Karageorgakis, with editorial support from Alexandros Georgopoulos and Eliza Kolovou. More information will soon be online at http://www.antigone.gr. The original edition of my book, Toward Climate Justice: Perspectives on the Climate Crisis and Social Change, published by Communalism/New Compass Press, is still available in the US from AK Press. 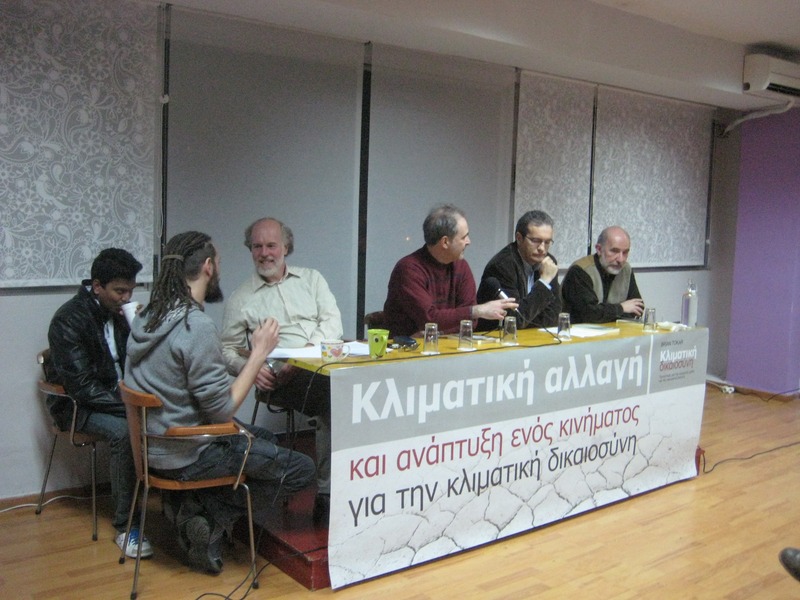 Launch of the Greek edition at the new Oikopolis center in Thessaloniki. 2 interpreters are on the left. After Brian is the moderator, A. Georgopoulos, followed by 2 local professors who introduced the book’s scientific and political outlooks. Photo by S. Karageorgakis.